(24 March 2014) Seven student activists are now detained without access to their families or lawyers after Sudan’s National Intelligence and Security Services (NISS) made further arrests in connection with a demonstration that took place at the University of Khartoum on 11 March. The detainees are at serious risk of torture and other ill-treatment. One of the detainees, Mohamed Salah Abdulrahman, was arrested days after his brother was briefly abducted at gun-point by plain-clothed security officers seeking to establish his whereabouts. Since issuing an alert on 17 March concerning the incommunicado detention of human rights defenders Abdulmonim Adam and Gazi Alrayah Al-Sanhouri, who remain in detention without access to their families or lawyers, the African Centre for Justice and Peace Studies (ACJPS) and the East and Horn of Africa Human Rights Defenders Project (EHAHRDP) were informed of the incommunicado detention of five more students (one of whom has been released) and the brief abduction of an activist. On 15 March, Badraldien Salah, (m), was abducted in front of his home in the Alshajara block of Khartoum by a group of armed plain-clothed security officers. He was forced into a car at gunpoint and taken to Alshajara square, where the security officers beat him with their fists and demanded that he inform them of the whereabouts of his brother, activist Mohamed Salah Abdulrahman. They confiscated his mobile phone before releasing him. After Mr. Badraldien’s release, he reported the incident at the police precinct in Alshajara. A few days later, at 6.30pm on 20 March, the NISS arrested activist Mohamed Salah Abdulrahman from the immigration section of Khartoum Airport as he was attempting to fly out of Sudan. Mr. Salah is a graduate of Khartoum University and had previously been arrested for two months in 2012. Ibrahim Salih Ibrahim Adam, (m), student at Omdurman University and member of the Darfur Students Association. Mr. Adam is currently detained incommunicado. Ahmed Ali Ahmed, (m), student at El Nilein University and member of the Darfur Students Association. Mr. Ahmed was released the following day. Al Radi Ali Ibrahim, (m), advocate and human rights defender. Mr. Ibrahim is currently detained incommunicado. On 19 March the NISS arrested Mohamed Idris Jedo, (m), the former Chairperson of the Darfur Students Association. Mr. Jedo was also arrested by the NISS in Khartoum in 2012 and questioned on his involvement with the Darfur Students Association. Mr. Jedo is currently detained incommunicado. Abdulaziz Altoum, (m), human rights defender. Mr. Altoum was arrested on 11 March by the NISS and is currently detained incommunicado. Abdulmonim Adam, (m), human rights defender. Mr. Adam was arrested on 13 March in Khartoum and is currently being detained incommunicado at NISS offices in Khartoum Bahri. Gazi Al-Rayah Al-Sanhouri, (m), youth activist and human rights defender. 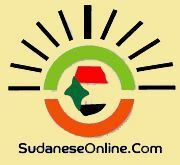 Mr. Al-Sanhouri was arrested at around 11pm on 12 March during an armed raid on his family home in the Al-Taeif neighbourhood of Khartoum. Armed NISS officers searched his home without showing a warrant and refused to inform his family of the reasons for his arrest or where he would be detained. His whereabouts remain unknown giving rise to serious concern for his safety. ACJPS and EHAHRDP call on the Sudanese authorities to immediately grant the detainees’ access to their families and lawyers and any medical assistance they may require. The authorities must guarantee the physical and psychological integrity of the detainees and order their immediate release in the absence of valid legal charges that are consistent with international law and standards or, if such charges exist, to bring them before an impartial, independent, and competent tribunal and guarantee their procedural rights at all times. There is serious concern for the safety and well-being of the detainees. Incommunicado detention significantly enhances vulnerability to being subjected to torture and other ill-treatment. The practice is in breach of Sudan’s obligations under the African Charter on Human and Peoples’ Rights, in particular the prohibition under Article 5 of torture and cruel, inhuman or degrading punishment and treatment. Although the formal charges are not known, the detentions are thought to have been made in connection with a demonstration concerning the situation in Darfur that took place at the University of Khartoum on 11 March 2014. One person died and seven others were seriously injured when the authorities fired live ammunition on the demonstration. A public forum that preceded the demonstration was called in response to the escalating violence in South Darfur, which broke out in late February following attacks on twenty-five villages by the paramilitary Rapid Response Forces. The UN has estimated that at least 50,000 civilians have been displaced, and there have been an unconfirmed number of deaths and sexual violence cases. Also discussed was the security situation in Darfur’s cities. The security situation has become increasingly complex in Darfur with indications emerging that the Government of Sudan is losing its control over some government-aligned militia groups. One student was killed and seven critically injured by joint security forces at the demonstrations. ACJPS has documented several cases of excessive use of force by Sudanese security services. During anti-austerity and anti-government demonstrations that occurred in Sudan in late September and early October 2013, over 170 people died and 800 people were detained. The majority of people who died had sustained gun-shot wounds to the chest and head, suggesting that security forces had shoot to kill orders. Many of the detainees were held incommunicado and without access to their families and lawyers before being released without charge. The Government of Sudan has traditionally been hostile to Darfuri student associations organising at universities. On 22 May 2013 nine Darfuri students sustained gun-shot wounds at El Fashir University, when joint forces comprised of the NISS, the police, and a student militia group aligned with the ruling National Congress Party fired live ammunition into a crowd of students on the university campus. The students had attended a public forum to discuss the recent disconnection of water and electricity supplies to the university and student residences. Taj Aldeen Arjaa, (m), 23 years of age, a journalist and blogger, is still in NISS custody after his arrest on 26 December 2013. Mr. Arjaa openly criticised President Omar al Bashir of Sudan and Idriss Deby of Chad at a press conference attended by the two leaders for their alleged roles in the atrocities and human rights violations committed in Darfur. Osman Hummaida, Executive Director, ACJPS, in London on: [email protected] or +44 7956 095738. Hassan Shire, Executive Director, EHAHRDP, in Kampala on: [email protected] or +256 772 753 753. Rachel Nicholson, Advocacy and Research Manager, EHAHRDP, in Kampala on: [email protected] or +256 778 921 274.